Why get a 1 year warranty inspection? WPI asks the question to those individuals who have purchased a new build home. Do you think that home builders build a flaw free home? Now that you have lived in your new home for just about a year. You are coming up on another important milestone, the ONE YEAR WARRANTY period. This is where you will get with the builder and continue the minor repairs on you new home. The ONE YEAR WARRANTY period is the time between the final walk through / close of escrow and exactly one year from the date of purchase of your new home. This inspection is usually done about the 10 or 11 month after the close of escrow. By having a property inspection prior to the 12th month will give you time enough to have an inspection then give it to the builder and get those items repaired prior to the 12th month. By using the property inspection, this is where you, the home owner, will create a list of items that you want the builder to repair. These and many more items will be looked at when you get a WPI ONE YEAR WARRANTY inspection. On the average the new home has from 5 to 15 or perhaps even more building defects that were not caught in the building process. A ONE YEAR WARRANTY home inspection will pay for itself once those defects are found and the builder corrects the problems. Why get a ONE YEAR WARRANTY INSPECTION at all? The purchase of a new home may be the largest single investment you will ever make. You should know exactly what to expect, inside and out in terms of repair and maintenance before you buy. Once you have been in that new home for about a year it is now time for the home owner to get a thorough home inspection, prior to the builders warranty period expiring. You as the buyer can never really know what kind of defects that are in that new home. These defects may not show up for a period of time. Our professional home inspection can help you find those defects and get the builder to fix them before it causes you needlessly and costly repairs. After your WPI inspection, you will have a much clearer understanding of what it is you need to request from the builder to repair before your new home warranty period expires. 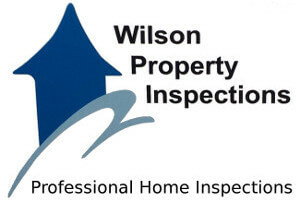 At Wilson Property Inspections we inspect every home as if our family was living in it.